Skin tightening is a non-invasive procedure meant to tighten and lift lax or sagging and wrinkled skin. The main reason for skin to lose its shape and get saggy is due to reduction in collagen. It is based on the fact that medium to deep heating of the skin causes both immediate collagen contraction and new collagen production that occurs over a 4-6 month period. 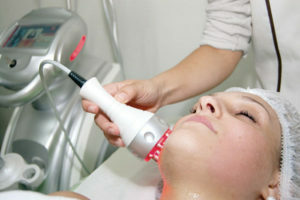 This heating activates fibroblasts signalling new collagen to form and existing collagen to tighten over time.